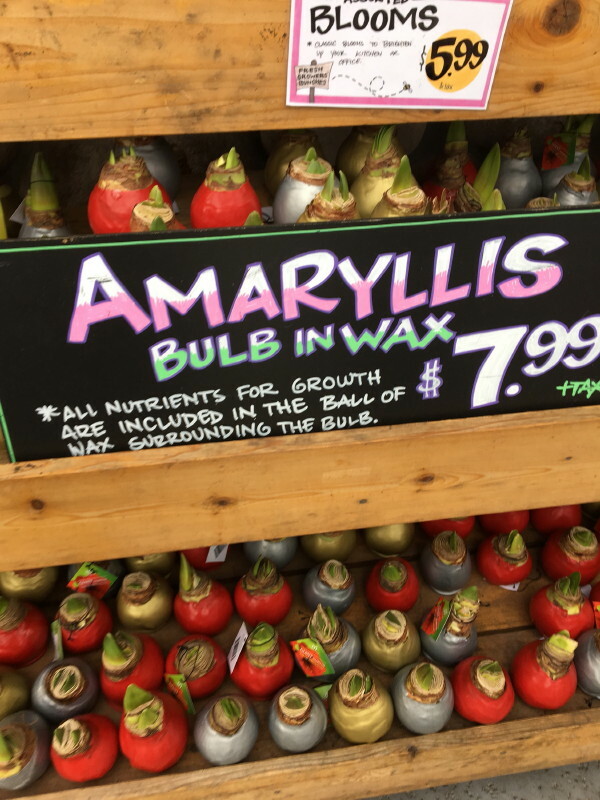 Every fall we buy narcissus bulbs to force in pots. First they go into the refrigerator for six weeks to pre-cool them. 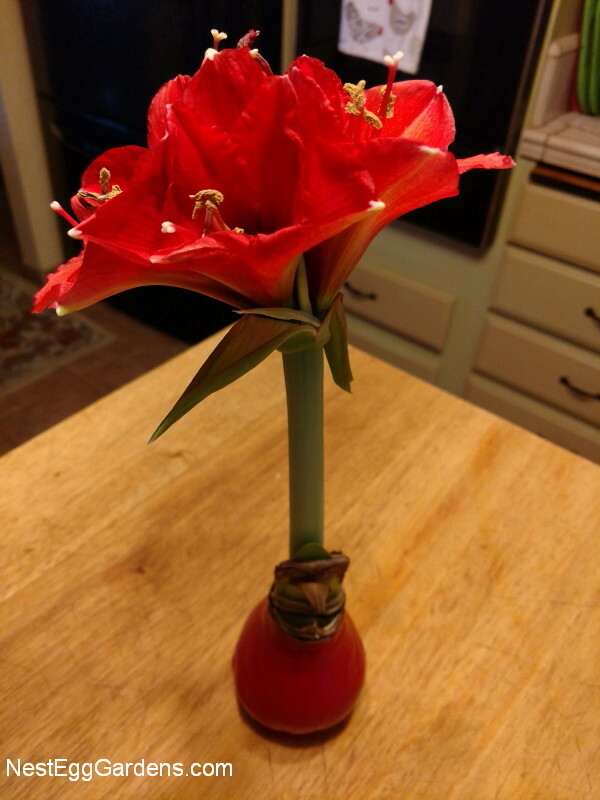 Because fruits and vegetables release a gas that can affect flowering, we have a small refrigerator in the garage that houses the bulbs during September and October. Then it’s time to pot them up, water them, and put them in a cool dark/shady spot and keep moist. 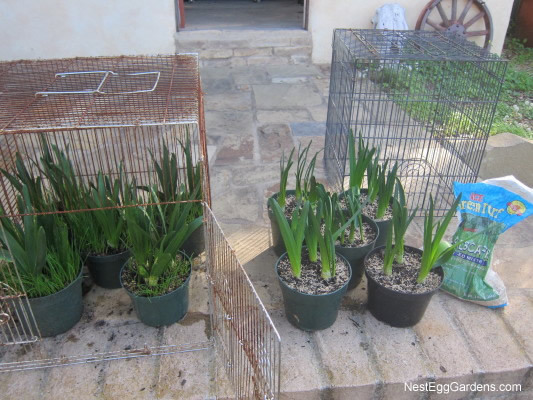 Once the bulbs are up about 4 or 5 inches, move them to a cool sunny spot. I like to sprinkle grass seed on top of the soil at this point. 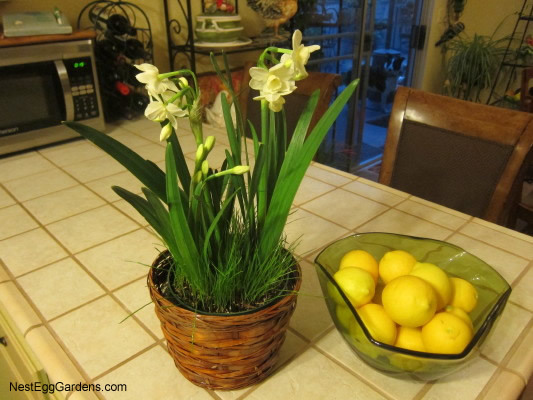 The grass dresses up the pot of bulbs and looks pretty and ‘spring-like’. Spritz or sprinkle with water daily until the grass seeds sprout. Protect the pots from birds (who will scratch up the soil while eating the seed). Bird cages are the perfect solution for this phase of the process. Only we use them to keep the birds out!Â It takes about two months to bloom once potted. 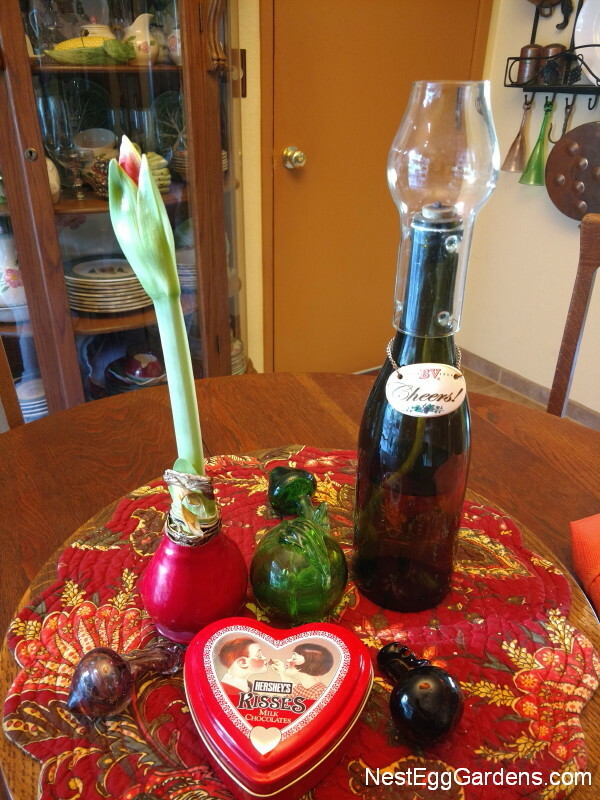 This entry was posted in Bulbs, Flora on February 8, 2015 by Shelly. 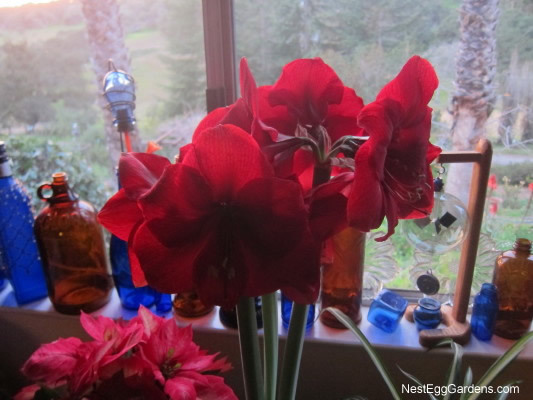 Forcing bulbs in the winter is something I’ve been doing for 30+ years, but this is the first time I’ve had three Amaryllis blooms at the exact same time. I am so in love with the color red lately!! 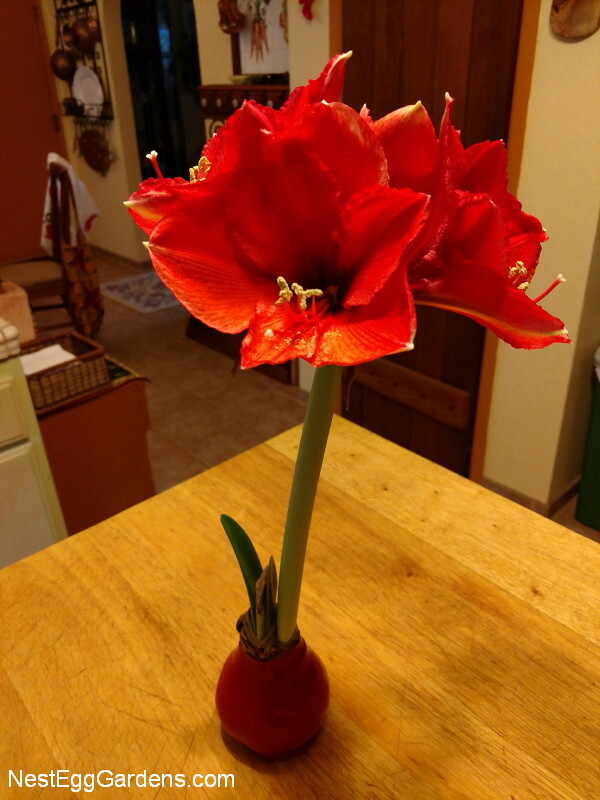 This entry was posted in Bulbs, Flora and tagged Amaryllis, Winter on January 12, 2015 by Shelly.